REVIEW SUMMARY: 7 standout stories + 18 good stories – 4 stories mediocre or worse = a good collection on par with previous editions. BRIEF SYNOPSIS: Editor Gardner Dozois’ picks for the twenty-nine best science fiction stories of 2012. PROS: 25 stories worth reading, 7 of which were outstanding; exposure to new writers and writing styles; the multitude of ideas. CONS: A small handful of stories just didn’t do it for me. BOTTOM LINE: A worthwhile anthology providing a good snapshot of the year in science fiction for 2012. The Year’s Best Science Fiction: Thirtieth Annual Collection is the 2013 edition showcasing editor Gardner Dozois’ picks for the twenty-nine best sf stories of 2012. The newest edition — See also my reviews of previous editions: #19, #20, #21, #22, #23, #24, #25, #26, #27, #28, and #29 — is just as enjoyable as past volumes, which is to say that some stories will be enjoyed more than others. But as I’ve stated before, the benefit of short fiction is more than just enjoying the story, it’s sampling new writers and being exposed to new ideas and writing styles — and this volume scores big on that front. “Weep For Day” by Indrapramit Das is a somber story about a planet that is tidally locked with its sun. One side of the planet lies in eternal darkness and is home to the “nightmares”, the almost mythical creatures that pose a danger to humans who are there to explore the planes. Seen through the eyes of a young girl, the story reads like a diary of the time she first visited the dark with her businessman father (a former knight on the edge of the frontier), her doting mother and her brother. A too-brief glimpse into what the Nightmares are means that events that I suspect were meant to be more heavily dramatic, weren’t. There’s not enough characterization to really care about the narrating sister (who goes off to college) and her brother (who joined the military to follow in his father’s Nightmare-killing footsteps). That said, the writing is almost lyrical in its delivery, which serves to prop the story up well enough. Paul Mcauley’s “The Man” is another entry in his Jackaroo sequence of stories, in which a mysterious alien race has bequeathed to humankind a series of colony worlds. This story takes place on one of the those worlds and features an older woman who makes her living scavenging ancient artifacts from the alien civilization that occupied the planet millennia before mankind. She meets a man who obviously isn’t human. The story takes some obvious turns when she takes him in from the cold, but even so creates a significant enough bond between them that when it comes to its conclusion, one is left with a bittersweet sadness. Jay Lake’s “The Stars Do Not Lie” is a superb story pitting science against religion. It takes place on a faraway world, six thousand years after mankind was placed upon the earth by the godly Increate. A scientist finds evidence that shakes the very foundations of this creationism, a discovery that pits the two main political forces against one another in a race to understand (or suppress) the truth. The story evokes a steampunk aesthetic quite nicely, both in the depiction of new electrical technology impinging on the current level of steam power, and in the use of an airship by which the Church races to overcome the literal advancement of science. It also makes use of interesting, realistic characters put in dramatic (sometimes nail-biting) situations. All told, this story does everything a short story should do: entertain, provoke thought, keep you turning the pages and leave you wanting more. Well done and highly recommended. “The Memcordist” by Lavie Tidhar is equal parts world building and personal character story. The backdrop is a future where personal memories are not only recorded for some, but also broadcast to the rest of the galaxy. A constant worry thus becomes the numbers of followers you have – a sadly believable extrapolation in the days of Facebook and Twitter. This is all from the point of view of Pym, a man into whose life we are given glimpses, as he searches for the one woman he was old enough to love, but too young to hold onto. Pat Cadigan’s story “The Girl-Thing Who Went Out For Sushi” is a story jam-packed with some great ideas, not least of which is the ability for humans to change their forms into alien-like octopi (and other sea creature equivalents) to better handle the rigors of space mining and scavenging. The story deals with one human’s decision to “go out for sushi”, the euphemism for being genetically altered into one of these forms, and how her makeshift, space-faring family deals with the change. A good story, to be sure, but somehow lacking the cohesion of a driven central narrative on which to hang it all. Eleanor Arnason extends her alien Hwarhath sequence of stories with “Holmes Sherlock”, which mimics, as you might guess, a Sherlock Holmes mystery. Here, the mystery is the disappearance of a young Hwarhath girl. The “detective” is a Hwarhath woman who translates human fiction in the hopes that her race will understand their human enemy. This is an interesting mystery, to be sure, but not quite meeting the promise of being as deductive as the mysteries conceived by Sir Arthur Conan Doyle. More interesting was the depiction of the Hwarhath culture and the gender roles they have. The enjoyable thing about “Nightfall On The Peak Of Eternal Light” by Richard A. Lovett And William Gleson is that it’s a chase story. The chaser is a mysterious assassin who follows his target to the Moon. That target, a man named Drew, is on the run and in hiding, and thought that the moon would provide the safety he sought. Seeking a new start amongst the workers there, he finds friendship before his past catches up with him. And therein lies the problem; it takes roughly half the story before it does catch up with him and the story kicks into high gear, redeeming the first half. Although told interesting from multiple viewpoints (Drew’s, the assassin’s and the lunar cop out to discover the truth), the story gives the impression for simply taking too long to set up. “Close Encounters” by Andy Duncan takes place in the late 1970s, some 20 years after a man named Buck claims to have been traveling to the stars on a UFO. After years of not attracting any outsider interest – genuine or otherwise – he is approached by a reporter who says there is a renewed focus because of the release of Star Wars and Speilberg’s Close Encounters films. She also informs him that there is a nearby scientific study to gather proof of alien existence. This is a decent enough idea for a story, but what really makes it remarkable is Buck’s Good Ol’ Boy voice and how the reader genuinely hopes for his shot at redemption. “The Finite Canvas” by Brit Mandelo is an engrossing story about a mercenary who hires a doctor to give her new battle scars to mark her recent kill. The doctor, desperate for money, agrees, but also asks for the story behind mercenary’s recent kill. This is a well-written story enhanced by the relationship between the two women, unspoken understandings and desperate measures. Great stuff. “Steamgothic” by Sean McMullen is a quaint, present-day story about the restoration of a 150 year-old steam plane that predates the first flight of the Wright brothers. It’s an invention that would have changed the course of history had the flight been successful, but alas, never was. (Does that make this story a pending alternate history?) The rather mundane story of the restoration is thankfully augmented by a love triangle and the involvement of a reality television show that add a bit of subtext and charm to the overall story. Elizabeth Bear’s “In The House of Aryaman, a Lonely Signal Burns” might be summarized as a police procedural, but to do so would short-change the other components of the story that ramp up the enjoyment of reading it. Ostensibly it’s a locked room murder mystery in a future India, where the deceased appears to have been turned inside out. The investigators assigned to her case — the dutiful Ferron and her partner, loyal Indrapamit who is recovering from a previous case — industrially follow the clues, aided by some cool technology. It’s a good mystery in and of itself, but adding to it (and propelling the story above average fare) is the addition of Ferron’s tense relationship with her VR-addicted mother, an engineered cat who might be a witness to the crime, the fact that the victim worked at a company developing fourth-dimension technology, and the strange behavior of a star in the Andromeda system — elements not necessarily related to the case directly, but nonetheless lending significant weight to the story. Paul McAuley’s “Macy Minot’s Last Christmas on Dione, Ring Racing, Fiddler’s Green, The Potter’s Garden” is a story set in his Quiet War universe – fans will recognize the name Macy Minot — about an Earth woman closing out the affairs of her estranged father, who moves to the Outer colonies. She learns some things about her father along the way, but ultimately those things lack significant impact because the story is heavy on description and lighter on characterizations and plot. “Twenty Lights To ‘The Land Of Snow'” by Michael Bishop is a generation starship story about a group of exiled Tibetans en route to their new home, a planet in the Gliese 581 system. The main character of the story, which spans the final quarter-century of their journey, is a girl named Greta Bryn who is set to become the next Dalai Lama. Greta Bryn tells her story in the form of journal entries, through which she recounts the fate of her predecessor, the rival for her esteemed position, and a final threat to their safe arrival. The storytelling here is good, though the focus pays less attention to the realities of space travel and instead chooses to focus on Greta’s doubt about her destiny and her coming to terms with it. Not a terrible choice, mind you, but I’m left wondering if the were some missed opportunities for some deeper drama. “Astrophilia” by Carrie Vaughn reads more like historical fiction than it does science fiction, despite taking place a few generations after the Big Fall, the collapse of modern society due to ecological forces. The point-of-view character, Stella, is a weaver who is relocated to anew community where she finds romance with another weaver who would rather spend her time with astronomical pursuits, recording star positions and the like. It’s mainly a story about following your dreams, which is fine as far as it goes, but lacked any significant sense of wonder or adventure. In “What Did Tessimond Tell You?” by Adam Roberts, a team of physicists are two weeks away from being awarded the Nobel prize. But then one of them quits the team, and then another, both under the belief that there is not much time left for them to do they things they really want to do. The lead scientist learns that the common denominator is that they both spoke to a man named Tessimond before they changed their life trajectories. What he said is teased for the large majority of the story, which does a fantastic job at building up suspense around the secret message. Even so, the story felt by-the-numbers and there was never any surprise in where it was headed. “Old Paint” by Megan Lindholm is a story with a classic sf feel. It’s a near-future story about a truly smart car, powered by a rudimentary artificial intelligence. As shown by the narrator’s recollection, the car is not so much a machine as it is a family member — a situation that lends a lot of heart to this story. With its Pacific-Rim-like premise, “Chitai Heiki Koronbin” by David Moles is surprisingly bland. More snapshot than plot, the story concerns a group of teenagers (a young girl in particular), who use robots to fight an alien enemy. With very little action, all that’s left is a glimpse into the hardships of their tough lives which, without much characterization, evokes little sympathy. Robert Reed’s Great Ship stories seem to be a never-ending source of stories, like this one, “Katabasis”. The story takes place inside the Great Ship, on a massive spinning wheel created long ago by heavyworld aliens. That wheel is now used by rich, bored passengers on board the Great Ship as a test of their mettle. The position of the spinning wheel means that gravity changes during each revolution, making it very difficult on the hikers, who, thanks to near-immortality and advanced tech, take their many injuries in stride (forcing the reader to question where the real challenge is). The titular character, whose name is symbolic of her arduous journey, is hired to assist one of the hikers, and their expedition is interwoven with Katabasis’s early formative years, when her race undertook a similar journey to meet humans, though with far greater stakes. This is an interesting and good story filled with sense of wonder, but somehow I did not connect with this one as much as I did other Great Ship stories, despite some notable characterizations (of Katabasis and seemingly-shallow-but-not-really Varid, in particular). “The Water Thief” by Alastair Reynolds is a story set in the near future depicted in his Poseidon’s Children novels, early in that timeline, focusing on a mother (Soya Akinya) and her daughter Eunice (a character from Blue Remembered Earth). They live in a refugee camp, where water and work are scarce. Work, in this instance, is plugging into a device that allows you to control a robot that’s somewhere else. Soya is assigned a job on the Moon, where a life-and-death situation for one man echoes the situation of a water thief in Soya’s camp. This premise allows Soya to take the high road of compassion and leaves the reader with a story that, from a world building perspective, quietly sneaks up and wraps you in its clutches, making you want to know more. “Nightside On Callisto” by Linda Nagata is a superb, fast-moving action story that takes place on one of Jupiter’s moons, the site of an engineering project to further mankind’s push not space. The project is run by three older women, chosen specifically because their age minimizes life loss should something happen. Something does happen; the mechs that are used to assist them in the mining of ice are subverted instead to attack them by The Red, a mysterious entity that seemingly has set its sights on mankind, thus the need to push out into space. This story exemplifies short science fiction at its best: wonder-filled, thoroughly engrossing from start finish, and leaving the reader wanting more. In this case, thee is more, in the form of the author’s novel The Red: First Light. “Under The Eaves” by Lavie Tidhar is another story in his Central Station cycle (a.k.a. The Continuity). Like another story I read in this sequence (“The Smell Of Orange Groves”), this comes across more as a character study than a plot-driven story, meaning that the lengthy descriptions overwhelm the feeling that anything is actually happening. What is happening is a possible romance between a young girl and a mostly-robot cyborg, a Romeo and Juliet forbidden love that can never be. Some short fiction has the feel of a novel in that, after you are done reading them, you feel as if you have been taken on a long journey. “Sudden, Broken And Unexpected” by Steven Popkes is like that. It’s about Jake, a former music star, now a reclusive “music doctor” fixing the music of others, who is approached by a former lover from the glory days (Rosie) to work for a new client. Rosie is a technology specialist and the client is a pop star named Dot who is a corporate sponsored artificial construct. What happens over the course of a few months is a story of emerging artificial intelligence, tenuous relationships and personal growth. It’s quite an excellent story, for reasons not least of which include characters you care about, interesting and subtly meaningful exchanges between them, and a meta-depiction of music that even non-musicians like myself can easily grasp. Robert Charles Wilson’s “Fireborn” is a story of the Haves and the Have Nots. The former are the “fireborn”, a group of humans possessing advanced technology, including the ability to simulate immortality through rejuvenation and, eventually, post-humanism; the latter is a low-tech society who sees the fireborn as the god-like immortals they appear to be. The story concerns a pair of commoners (Onyx an Jasper) who meet a fireborn woman and live with them while they prepare for the Harvest Festival, a custom that involves high-tech sky dances and a competition in which the winner achieves the ultimate prize of post-humanism. Things get more complex when Jasper takes a liking to the fireborn woman, but the drama that plays out, while engrossing and ultimately entertaining, is not something that hasn’t already been done. “Ruminations In An Alien Tongue” by Vandana Singh is a contemplative piece about an elderly mathematician on an alien planet who has worked her whole life in solving the puzzle of an alien artifact that seems to work as a portal to alternate realities. The portal alters probabilities, in effect making a dream machine to worlds of your own creation. The woman, Birha, now in her twilight years, reflects on her life and past loves from the new perspective granted by the alien artifact. Moody and meditative more than straightforward plotting, but still enjoyable for its Big Ideas. Much like his novels, Hannu Rajaniemi’s short story “Tyche And The Ants” seems to use its own vernacular that makes it hard to initially grasp what exactly is going on. What’s going on (presumably) is that a young girl named Tyche lives alone on the moon with nobody to keep her company except an AI named The Brain and an imaginary (virtual?) world known as the Other Moon, which is entered via a Secret Door and is populated with beings such as the Jade Rabbit, Chang’e and the Magician and the Cheese Goat (just some of the beings collectively known as the Moon People). What the reader comes to learn as things become more (but never quite fully) clear is that Tyche’s presence on the moon is for her own protection — her parents left her there to escape persecution for being different than humanity (exactly how, is never explicitly stated, though a genetic engineering Homo Superior race is implied, or is at least a workable theory). The thrust of the story is that Tyche’s life is put in danger when a new threat from Earth (known as The Great Wrong Place) makes itself known: a seemingly sentient collection of mechanical constructs known as ants. Despite some of the mind-expanding ideas (which I do like), I can’t help but get the feeling that, much to its detriment, this story takes a perfectly workable concept and goes out of its way to make it difficult for readers to grasp, leaving them with nothing but a handful of maybes. “The Wreck Of The Charles Dexter Ward” by Sarah Monette And Elizabeth Bear is a fantastic blend of science fiction and horror, mixing in an imaginative future with giant living ships and the creatures of H.P. Lovecraft. Zombies are thrown in for good measure, but the story never falls into cliché and they are mostly window dressing here for a story involving a salvage mission and personal redemption. This story is set in the same universe as the stories “Boojum” and “Mongoose” and is just as enjoyable. “Invisible Men” by Christopher Barzak is a re-telling of the H.G. Wells classic The Invisible Man, as seen from the perspective of sixteen year-old Millie, the maid at the Coach and Horses Inn in the small English town of Iping. I haven’t read the Wells story but, suspecting I might enjoy the story more, I cheated and read the Wikipedia synopsis. I think that helped me enjoy this short story more, though likely not as much as if I had read the original in its entirety (which I now want to do). Even so, and knowingly speaking from a point of not knowing the full story, it felt like the bulk of this story, save for one scene, was just a re-hash of the original — not that that stopped it from being entertaining in its own right. “Ship’s Brother” by Aliette De Bodard is a contemplative story depicting familial tensions, particularly between a brother and sister. What makes this interesting is that the story takes place against the backdrop of a far-future war between spacefaring Mayan and Chinese empires; a future where women give birth to the minds that will control their spaceships. Here, the brother has nothing but contempt for the sister, now known as the mind occupying a ship. The story is told from the point of view of the mother, speaking in the second person to the son, which adds to the depiction of family strife. Robert Reed has done numerous stories about the Great Ship, a Jupiter-sized spherical spaceship created by an ancient, enigmatic race and co-opted by humans as it travels around the universe. The ship is so large that, story-wise, it’s a universe unto itself, spawning so many stories that are related but unique. More evidence of this world’s richness can be seen in “Eater-of-Bone”, a story that doesn’t even take place on the Great Ship. Instead, this story’s connection is that a colony ship manned by humans is launched from the Great Ship and crash-lands on a planet whose smaller, weaker natives (called Nots) see the marooned humans as giant, monsters. They also perceived a god-like, thanks to the nanotech in their bodies that gives them effective immortality, healing wounds and even resurrecting the after death. The story picks up millennia after the crash — and this is where the background gets a little sketchy — when many, if not all, of the colonists are living in seclusion, if they are even alive. This narrative focuses on a girl nicknamed “Dream” who’s initially on the run from the Nots. She comes across another human named Mercer, one of the original colonists and he teaches her about the ways of the world. What’s interesting about this story is the depiction of the constant warfare between Not and human, and also the realization that humans are not altogether on speaking terms with one another. Even more impressive is that this novella-length story, despite having background events that lead up this story being a bit hazy, still manages to include fantastic and complex world building that never ceases to be entertaining. Impressed. That’s a big book to read and review. Thanks for the detailed review, that’s how I do mine as well. Well, yours is a bit more fleshed out for your Hugo Award winning publication, but I do comment on each story. It’s nice to be able to compare reactions to each author’s work. Thank you for your efforts, as always. Great reviews. 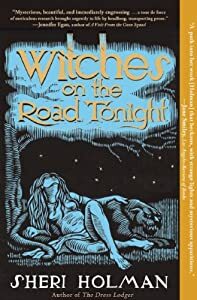 I have all thirty years of this collection and I have had the similar experience of finding new authors through first through their short stories.